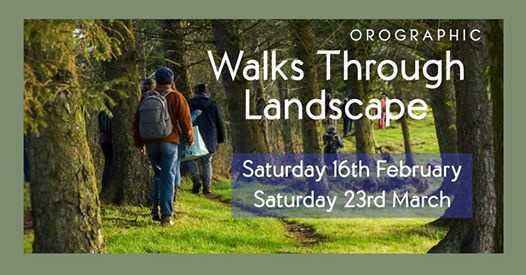 Join us on a group walk through Dumfries, with intervals for guided reflection, historical and ecological insights, guest speakers and group activities exploring our connection with, and emotional response to the landscape around us. This is the third walk in a series. Participants can expect stunning views of Dumfries, natural woodland environments, parkland and riversides. The walk will depart from The Stove in Dumfries and take 2-3 hours - including stopping time. The full walk is 6.5km in length but there will be an opportunity to catch a local bus back to Dumfries from the Chrichton Campus if you would like a shorter route (less than 4km). Please dress appropriately for the weather, including suitable footwear for walking through muddy woodland, and bring any drinks or snacks you may desire. This is a free event but places are limited so please book in advance to avoid disappointment. Please also contact us through this page if you require any further information. The Walks Through Landscape series forms part of performance group Oceanallover's most recent project "Orographic". 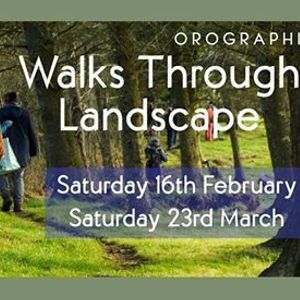 Unable to make this event but still interested in taking part in a walk/ attending a performance of Orographic? Saturday April 13th will be the final chance so save the date!